2 You should ensure the solar collectors are preferably southerly facing and angled. 3 Where roofs are positioned east to west, solar collectors should be installed on each side to ensure that they benefit from the position of the sun throughout the day. 4 The roof structure needs to be suitable to install solar collectors. 5 That your property will receive a higher rated Energy Performance Certificate in the Government's new Home Information Packs. 6 You'll only pay 5% VAT on your Solar Panel Installation. Please feel free Contact Us at Dean Evans Plumbing & Heating for a free survey. 1 Insulation is very important - Enough energy to heat 3 million homes is lost through poorly insulated houses each year - The Energy Savings Trust. 2 Ensure your loft and cavity walls are all insulated to a high standard - this can save you £100-£120 per year. 3 Have your widows and doors Double glazed - double glazing could save the average uk household £110 per year. 4 Make sure all your heating system's pipes are properly lagged and insulated so energy is not wasted through heat loss. 5 Make sure your hot water cylinder has an insulation jacket. 6 Older type boilers waste energy; consider replacing yours with a modern condensing boiler, which converts more than 88% of fuel into heat. This could save you 30%, or around £150-£180 on your average annual heating bill. 7 Make sure you have a thermostat fitted and that you don't inflate your heating bill by having your system turned up unnecessarily high. 8 Have environmentally friendly low energy light bulbs installed in your house. 9 Pensioners can get a government grant to help with the cost of insulation - visit the Energy Saving Trust for more information. http://www.energysavingtrust.org.uk/. Please feel free to Contact Us at Dean Evans Plumbing & Heating any time for free advice or an operative can check how cost efficient your system is and recommend improvement, where necessary. 1 Make sure a timer is fitted to your emersion heater's hot water tank to avoid wasting money by keeping water hot all day. 2 Make sure your immersion heater has a thermal safety cut out fitted. 3 Make sure your hot water cylinder has an insulation jacket. 4 Make sure your hot water thermostat isn't set too high - the higher the temperature of your hot water the more cold you will waste to cool in down to a safe, usable level. Please feel free to Contact Us at Dean Evans Plumbing & Heating any time for free advice or an operative can check how cost efficient your system is and recommend improvements, where necessary. 1 Install a water efficient shower head (about 20% of household water is used in the bathroom) to save on water and energy bills due to heating less water. 2 Install a thermostatically controlled shower valve which will save water by delivering the required temperature instantly. 3 Reduce your showering time - every minute you cut from your shower time saves up to nine litres of water. 4 Update your toilet cistern to a duel flush system - ten half flushes saves enough water for a five minute shower. 5 Check your dripping taps; changing the washers can significantly cut your water bill by hundreds of litres a year, and in the case of hot taps save energy too. 6 Check your property for overflowing toilets and water tanks. 7 Have your water meter checked to make sure you are only paying for the water you are using. 8 Have your house's plumbing checked for leaking underground pipes you may be paying for thousands of litres of water that is soaking away into the ground. 9 Next time you buy any appliance that uses water, make sure you check the water efficiency rating - a washing machine rated AAA or higher can save 50 litres per load, and can also be used at a lower temperature to save on energy bills. Please feel free to Contact Us at Dean Evans Plumbing & Heating any time for free advice or an operative can examine your entire plumbing system for water wastage and leakage and recommend improvements, where necessary. 1 Older type boilers waste energy; consider replacing yours with a modern condensing boiler, which converts more than 88% of fuel into heat. This could save you 30%, or around £150-£180 on your average annual heating bill. 2 Install a timer on your heating system - it is far more cost efficient to have your boiler coming on an off when required rather than having it continuously running. 3 Have thermostatic radiator valves fitted to all your radiators to control individual room temperatures or switch heat off completely in certain parts of your house. 4 Make sure your heating system is equipped with a room thermostat - cutting room temperature by one degree will save 5% annually on your heating bill. 5 Regular servicing of your boiler is vital for safety, but significantly a well maintained heating system will be more efficient and cost less to run. 6 Make sure all your heating system's pipes are properly lagged and insulated so energy is not wasted through heat loss. Please feel free to Contact Us at any time for free advice or an operative can check how cost efficient your system is and recommend improvements, where necessary. Sitewide content which does not fall into any other category. Content related to Bathrooms and Bathroom Design, i.e Showers, Baths etc. Why does my tap keep dripping ? This is almost invariably due to a faulty tap washer. You can simply fix a new tap, or replace the washer. Both jobs are within the remit of the competent DIY enthusiast with the right tools, but there can be complications, so if your in any doubt get the professionals in and Contact Us. What is the Gas Safe Register ? In Great Britan, on April 1st 2009, the Gas Safe Register™ replaced CORGI gas registration CORGI was set up in 1970 as the as the 'Confederation for the Registration of Gas Installers'. CORGI was set up in 1970 in response to the 1968 'Ronan Point' accident, when a gas explosion caused the partial collapse of a new tower block, resulting in 4 deaths and numerous injuries. This accident was caused by a faulty gas installation, and it was from this that CORGI was created.Initially, gas installers only needed to become CORGI registered on a voluntary basis. However, in 1991, the HSE (Health and Safety Executive) asked CORGI to maintain a register of competent gas installers in the UK. As a result, CORGI now stands for 'Council for Registered Gas Installers'.On April 1st 2009, the Gas Safe Register replaced CORGI. The register is designed to protect you, your family and your property from dangerous and unsafe gas works. By law, anyone carrying out work on gas installations and appliances MUST be on the Gas Safe Register. What is a SEDBUK rating ? SEDBUK stands for 'Seasonal Efficiency of a Domestic Boiler in the UK', and provides a fair comparison of the energy performance of different boilers. -->What difference can an energy efficient boiler make ? form part of Baxi's high efficiency range. amongst the most efficient boilers on the UK market. Why do I not get enough hot water from my combination boiler ? Older combination boilers often have a lower flow rate than newer models. This can be made worse by a build up of scale in the boiler over time. In this situation we suggest that you have an expert check your boiler and central heating system. If you would like us to investigate this or any other problem with your boiler then please feeel free to Contact Us and arrange for one of our fully qualified engineers to take a look. Why are some of my radiators hotter than others ? This usually means that your central heating system is incorrectly balanced. This results in the hot water not flowing evenly to each radiator. We suggest that you have an expert check your central heating system.If you would like us to investigate this or any other Central Heating problem for you then please feel free to Contact Us and let one of our fully qualified engineers take a look for you. Why is my radiator cold at the top and hot at the bottom ? This usually means that there is air trapped in the top of your radiator. You may want to try to bleed the radiator to release the air. However, we suggest that you have your central heating checked by an expert in case there are any underlying system problems.So please feel free to Contact Us and let one of our fully qualified engineers take a closer look. Why is my radiator hot at the top and cold at the bottom ? This usually means you have a sludge build up in the bottom of the radiator. This can be resolved by power flushing the system. However, before taking any action we recommend that you seek expert advice to identify the cause of the sludge first, for example you may have a water leak. So why not contact us on one of the above for some advice. What is a Thermostatic Radiator Valve ? A Thermostatic Radiator Valve allows you to control the temperature in individual rooms around your home. It can also help you reduce your fuel bills by automatically adjusting the radiator temperature once your room has reached its desired level. How much could I save on my heating bill ? You can save up to 40% on your heating bills but this depends on the size of your home, how often you use your heating system what insulation you have in your home and the type of boiler you have fitted. We offer free site surveys where we can assess your requirements and give you a more accurate idea of what you could save. So feel free to Contact Us to arrange a survey today. Is fitting a new central heating system very disruptive and messy ? The installation of a new system does involve new pipe work being fitted and heating controls being installed. We aim to ensure that disruption in your home is kept to a minimum, we will keep you updated on our progress at all times. Does my boiler need to have regular services ? We recommend that you have your boiler serviced each year. This will ensure that it is working at maximum performance and safety. 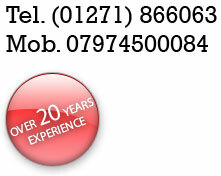 Contact Us today to arrange for one of our fully qualified engineers to service your boiler. What will it cost to install a new boiler or central heating system ? To make sure that you get the right boiler and central heating system for your home you can Contact Us to arrange for one of our fully qualified adviser's to visit you and give you a free, detailed estimate, which is tailored specifically to your needs. It's simple, effective and entirely renewable which is good for the environment - and good for future generations. Please feel free to Contact Us to arrange for one of our fully qualified advisers to visit youat your home to discuss a new Solar Installation for you.Why not take a look at some of our recent Solar Installations in the Gallery. What equipment do we require for a full Solar Installation ? There are three main elements for a Solar Installation : Solar collectors ( either Flat Plate or Evacuated Tubes ) Take a look in the Gallery at the Solar section for some of our recent installations. Solar cylinder ( Magatech Stainless Steel Unvented ). How many evacuated tube/flat plate panel collectors will I need ? The amount of solar collector area needed relates to the size of the solar cylinder.The size of cylinder required is dependent on: the number of people in the household. the amount of hot water required daily for baths, showers etc. the number of collectors may also depend on available roof space. Typically, a home with a family of four will need two solar flat plate collector panels or a thirty evacuated tube collector. Why not Contact Us to arrange for a free site visit by one of our fully qualified advisorsand see if we can start helping you to Save Money and help Reduce your Carbon Footprint. How much hot water does Solar generate ? During the summer months, it can generate as much as 100% of the domestic hot water required for an average household.In the winter, as much as 30% can be generated, with the remainder being provided either by a conventional boiler or electric immersion heater.On average, it will generate around 60-70% of the annual domestic hot water requirement. ** ( ** Variable saving dependent upon type of solar system used, location and usage patterns ) So why not let us help you to Save Money and Reduce your Carbon Footprint and Contact Us to arrange a free site visit today. How Does Solar Work ? The solar collectors are mounted on the roof and absorb the heat from the sun's rays, transferring the heat to a fluid.The fluid is circulated from the panels through to a special solar coil in the base of the hot water cylinder.The heat is transferred to the stored water and then returns to the collectors to be re-heated and continue the process.